With summer’18 release of salesforce, there is some good news for salesforce developers. Salesforce introduces some new components to build application more faster and easier. One of them is lightning:navigation component. 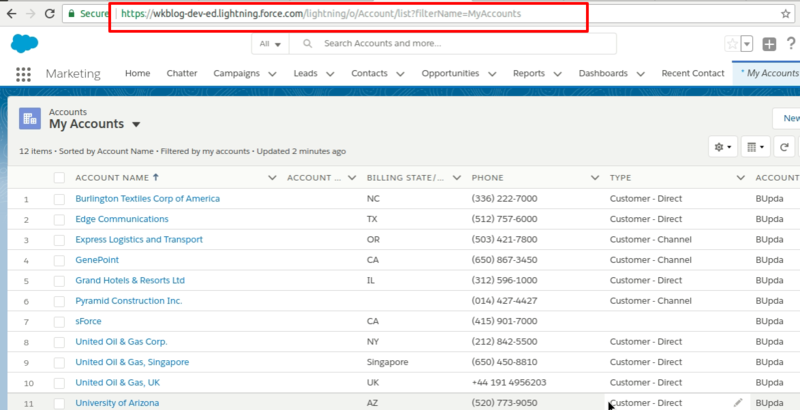 We can use this component to generate salesforce URL from pagereference or generate a pagereference without manually building it. Let’s learn more about this component. generateUrl : This method is use to generate url for a given page reference. This method used ‘page reference’ as parameter. navigate : This method is used to navigate to specified page reference. This method used two parameters ‘page reference’ and ‘replace’. #page reference : It is an object which have following properties. type : It defines api name of page, for example : for standard object page we use ‘standard__objectPage’ , for record page type we use ‘standard__recordPage’. It is required. attributes : It is also required. It defines the value for each attribute to generate pagereference, for example objectApiName, recordId, action. state : This property is optional. This property defines parameter of page url to be generated. #replace : It is boolean value which indicates whether new page should replace the current page in navigation history. It is optional. Note : To use this component we must implement “home:availableForDesktop” or “flexipage:availableForAllPageTypes” interface. In this example we are going to generate a navigation link which navigate to standard account list page and a record view page. recordId : '0037FXXX51uq5QAA' // change record id.